Having graduated from the University of Bristol with a degree in English & Philosophy, Libby realised her true vocation when working with the Prince’s Trust leading a group of young people ‘not in education or employment’. 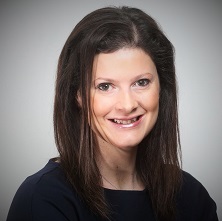 Most recently co-authoring “Understanding Leadership” and “Stronger Boards, Better Education”, Libby is committed to learning centred leadership; securing high quality education through excellent staff development at all levels. Professor Sam Twiselton joined the Board of Trustees in April 2017. 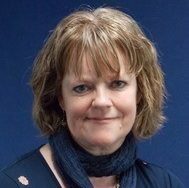 She is the Director of the Sheffield Institute for Education (SIoE) at Sheffield Hallam University – a national centre of education research and practice, recognised for its excellence and innovation in teaching and learning. Prior to joining Sheffield Hallam in 2013, Professor Twiselton was Executive Dean of Education at the University of Cumbria. In this and her current role she uses her research and practice in the development of teacher expertise to develop a range of innovative workplace embedded approaches to Initial and Continuing Teacher development. Professor Twiselton has been a member of the British Educational Research Association (BERA) Council; and sat on the executive of the Universities’ Council for the Education of Teachers (UCET); led the Initial Teacher Education section of ESCalate – the Higher Education Subject Centre for Education; initiated the Teacher Education Advancement Network; and worked closely with the Qualifications and Curriculum Authority (QCA) and Creative Partnerships to develop innovative and creative approaches to all phases of education. The Sheffield Institute of Education can trace its roots back over a century when teachers were first educated at the City of Sheffield Training College. The Institute is now one of the largest providers of initial teacher education in the country, with more than 700 new teachers entering the classroom from Sheffield Hallam each year. The Institute combines excellent professional practice with high quality research into the education and development of the broader educational workforce, and is now a major centre of excellence in continuing professional development and research, which enables it to support all learners – and those who work with them – both within and outside the classroom. Jonathan is the Director of Policy and Advocacy at the Varkey Foundation, a global non-profit dedicated to improving education standards across the world by catalysing a sustainable change in the way that teachers are trained, perceived and treated. Previously, Jonathan was Head of Education at Policy Exchange, where he wrote over 15 major reports, book chapters and policy documents across all aspects of education. Jonathan has also worked at Serco Group, as Head of Open Public Services in the Cabinet Office, and as Head of Education in the Prime Minister’s Strategy Unit in the administrations of both Gordon Brown and David Cameron. Outside of work Jonathan is the Chair of Governors and Co-Founder of Ark Greenwich Free School, and a Trustee of Ambition School Leadership. He writes regularly for the TES newspaper on politics and education policy. Valerie graduated from Manchester University with a degree in French and PGCE in modern languages. Valerie has worked in both the maintained and independent sectors for over 30 years and was Headteacher at the independent Sheffield High School until retiring in 2018. Areas of professional expertise include strategic planning, leadership development and the delivery of school improvement. Added to this, Valerie has also been a schools inspector for 15 years in the UK and abroad. Having worked in both education sectors, Valerie is a passionate supporter of partnerships across the two with the aim of learning from best practice and improving outcomes for all children, regardless of background. 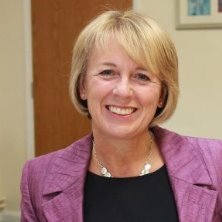 At Sheffield High School, Valerie works with 14 primary schools in the Sheffield South East Learning Partnership and on several programmes with secondary schools in Sheffield, Rotherham and Barnsley to achieve this sharing best practice to continually improve teaching and learning. Valerie is also a member of the DfE’s Independent/State School Partnership Committee, meeting termly to continually break down barriers between the sectors and to provide a structure for funding and co-operation. A Gatsby Scholar with a degree in Natural Sciences from the University of Cambridge, Matthew is a leading consultant in the education sector as well as in organisation design, performance management and leadership. Matthew is currently the Managing Director at Parthenon having joined in 2010 and has worked in the education support services sector and leading teams working on school improvement, academy development, the ‘Building Schools for the Future’ programme and on children’s services technology and management information. 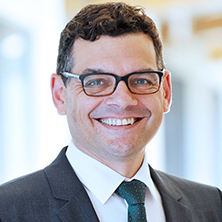 Having worked in both the public and private sectors within the education industry, Matthew previously worked at McKinsey & Co where he led strategy and organisation projects in a range of contexts. Since joining Parthenon, Matthew has led their education work in the UK and Europe. 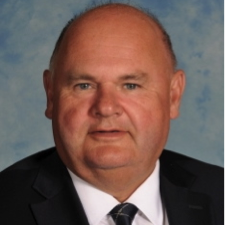 He has led teams across every stage and sub-sector of education including vocational and further education, universities and support services. He has worked in buy and sell-side diligence, international strategy, marketing and sales force strategy as well as general corporate strategy. Matthew has an incredible depth of experience and has been a major player in market leading work across the education industry. 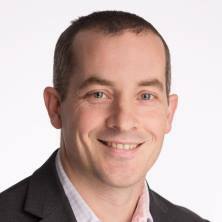 Simon is Regional Director and Dean of Education and Quality(DEQ), Health Education England (HEE), Midlands and East and national SRO for Primary Care having been DEQ & Postgraduate, Health Education East of England. He is also Honorary Professor at Norwich Medical School, University of East Anglia (UEA) and Visiting Professor at Anglia Ruskin University (ARU) and the University of Pavia, Italy (teaching appointment), and a Fellow of Homerton College Cambridge. He was COPMeD Lead Dean for Selection and Recruitment, Obstetrics and Gynaecology, Sexual and Reproductive Health, Pre-Hospital Emergency Medicine and Nutrition and now leads for HEE on Primary and Community Care. 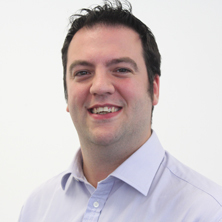 Simon is Chair of the UK Medical Recruitment Programme Board and the GP Workforce 2020 Programme Board. He also sits on the Genomics Advisory Board, serves on the HEE Medical Workforce Advisory Group and is Chairman of the RCGP Committee on Medical Ethics and the University of Cambridge, East of England Military Education Committee. 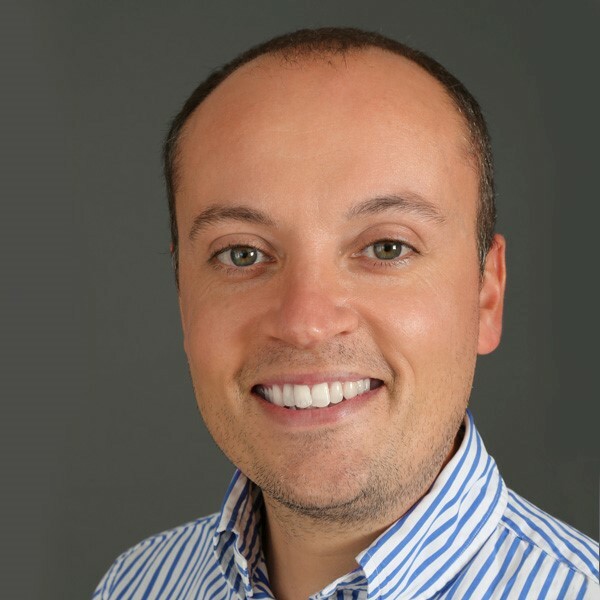 Simon is clinically trained as a GP in Northampton previously being a GP Partner at King Edward Road Surgery, Northampton. He is now a Consultant to and Salaried GP at the practice. His research interests are selection methodology, “value-added” in medical education and quality of education, training and care and health outcomes and performance, and his clinical interests respiratory medicine and women’s health. Outside of medicine and healthcare education Simon’s interests include governance and development roles for the Scout Association, Chairman of Northampton High School Board of Governors until june 2016 and from April 2016 a trustee of the Astrea Academy Trust. His hobbies include being a season ticket holder at Northampton Saints RFC, woodturning and reading. James graduated from Manchester University with a degree in German, followed by a postgraduate diploma in Marketing and Languages. In 1983 he joined a manufacturer of tableware, spending his first year working full-time in the factory. At 24 he was posted to set up the company’s sales and distribution subsidiary from scratch in the German market. Three years later, he joined Ford Motor Company and held various sales and marketing positions including Sales Director of Ford Switzerland at the age of 32. James became Ford UK’s youngest regional director at 34. 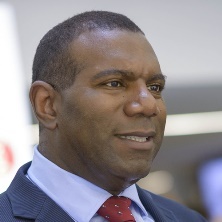 In 2001 he was appointed Managing Director responsible for establishing Mazda’s own company in the UK; in 2003 he was promoted to Mazda’s European headquarters near Cologne, first as Vice-President of Sales & Marketing and then, at 46, as President and CEO of Mazda Europe where he led the Company’s turnaround from loss-maker to Mazda Corporation’s most profitable business unit in the world. In 2009 James joined Volkswagen Group as President & CEO of SEAT based in Barcelona and tasked with revitalising its ailing brand. Over the following four years, he led the complete restructuring of the company including the development of a new brand and product strategy, improving product and manufacturing quality to meet the Group’s exacting standards and introducing Spain’s first dual-vocational training programme for young apprentices. Thanks to its widely-acclaimed and award-winning Leon car, SEAT has crossed the line as a perennial loss-maker and is on course to a sustainable and profitable future, safeguarding more than 14,000 employees and over 60,000 dependent jobs across the supplier network. Since mid-2013, James has been based in Wolfsburg, Germany, and is responsible for running the VW Group’s owned national sales companies across more than 20 countries world-wide, accounting for more than 3.5 million vehicle sales with over €70 billion of turnover. James is married to Julia and has 3 children: William 24, Kate 13 and Alexander 9. He speaks 4 languages, is a keen skier, rugby enthusiast and has a passion for business, economics, change management and social mobility. Glen has long been a strong advocate for ‘quality education for all’ regardless of background, and is especially proud of his role in helping to build GDST’s life-changing bursary programme. Glen lives in Hove with his family, is a wannabe myrmecologist, loves hard bop jazz, and remains a deluded QPR fan. 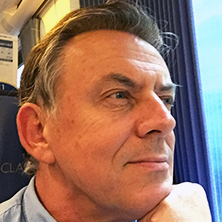 A graduate in engineering from Lougborough University, Nick spent almost 30 years in the steel industry with a career progressing through to a number of business leadership positions based in the UK and subsidiary board appointments overseas. On leaving the steel industry at the end of 2006, Nick formed his own consultancy company and worked mainly in N. America in the oil & gas sector on business improvement and interim management projects. He later joined his main client, Wellstream International, a UK based manufacturer of flexible subsea flowlines and risers, as V-P Operations. After the Company was acquired by GE Oil & Gas in 2011, he ultimately became Global Sourcing & Capex Director, working between the UK and Brazil. Nick left GE in late 2013 to re-start his consultancy company where he still undertakes assignments whilst making time to pursue other interests. He is a keen rugby supporter but his annual indulgence is skiing. A Freeman of the Company of Cutlers in Hallamshire since 2001, Nick is currently Senior Warden. He is married to Liz; they have 3 grown up children.